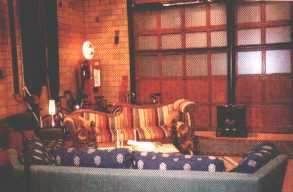 The Living Room in the Boston Firehouse was located inside the Garage Door in the southern portion of the 1st floor. Another view of the Living Room looking towards the Kitchen and Billiard Room. 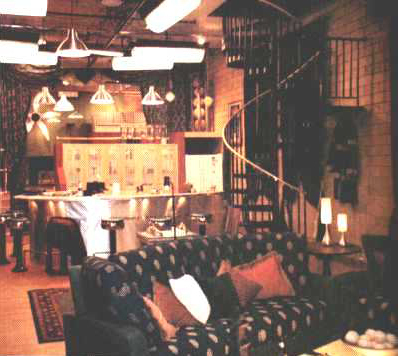 The spiral staircase led up to the 2nd floor. The view from behind the Kitchen counter looking towards the Living Room. The Phone Room was located next to the Living Room through the doorway in the southwest corner of the Firehouse.